The discussion on Book of Mormon geography was getting heated. Scholars gathered in Provo, Utah, to discuss their theories about where the events described in the Book of Mormon took place. Some placed the Nephite capital city Zarahemla in Mesoamerica, others in South America. Others argued for a setting in the American heartland. 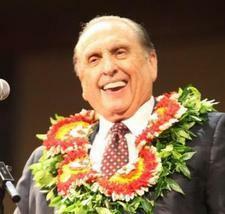 The president of The Church of Jesus Christ of Latter-day Saints attended the two-day Book of Mormon convention. Although he found the discussion interesting, he was obviously concerned that people were getting a little too worked up about their geographic theories. He decided to intervene. The Book of Mormon geography conference was held at Brigham Young Academy on May 23-24, 1903. But the advice President Joseph F. Smith gave at that conference 107 years ago could apply equally to current disputes over Book of Mormon geography.